Palm Coast and Port Orange, FL drivers often compare the 2015 Mazda3 to the 2015 Toyota Corolla. We thought we’d do the hard work for them, and decided to pit the two against each other to see which one offers the most. The 2015 Mazda3 is available in five separate trim levels, allowing Palm Coast and Port Orange drivers to find the perfect model for them. Mazda3 i SV: Starting at $16,945, the Mazda3 i SV includes all the standard features you require, as well as air conditioning and remote keyless entry. Mazda3 i: Starting at $18,445, the Mazda3 i Sport upgrades your Mazda3 with steering wheel-mounted cruise control and a 60/40-split fold-down rear seatback for enhanced cargo carrying versatility. 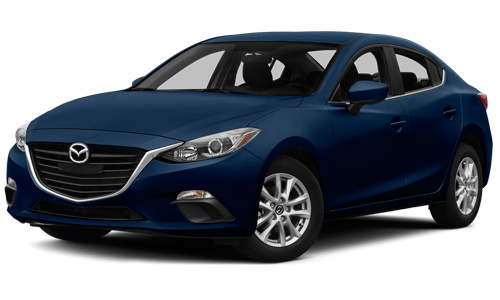 Mazda3 i Grand Touring: Starting at $22,745, the Mazda3 i Touring adds extra relaxation with leatherette-trimmed sport seats and a 6-way power driver’s seat with lumbar support. Mazda s Touring: Starting at $23,845, Mazda s Touring models upgrade to a 2.5L SKYACTIV-G engine for a stronger sense of power beneath the hood. Mazda s Grand Touring: Starting at $25,045, this top-of-the-range model is fitted with leather-trimmed sports seats and an available Mazda Radar Cruise Control system. 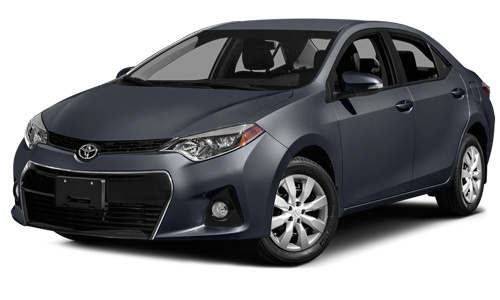 The 2015 Toyota Corolla starts slightly pricier, with the L model coming in at a minimum of $16,950. However, premium models fail to offer the same attractive range of features as upper-level Mazda3 models. The 2015 Mazda3 is available with two separate engines, while the 2015 Toyota Corolla can be fitted with just one. If you want to be able to personalize your own blend of power and efficiency, then the Mazda3 is your only choice. With the 2015 Mazda3, Palm Coast and Port Orange drivers may select from either a 2.0L or 2.5L SKYACTIV-G engine, paired each with either manual or automatic transmission. The standard 2.0L 4-cylinder offers 155 hp and 150 lb-ft of torque — more than the 2015 Toyota Corolla’s 1.8L model, which promises just 132 hp and 128 lb-ft of torque. The Mazda3’s 2.5L engine goes even further, putting you in control of 184 hp and 185 lb-ft of torque. There is an ECO option that boosts the Corolla’s numbers to 140 hp and 126 lb-ft of torque, but that’s inferior to even the standard Mazda3 engine. At the same time, you’ll enjoy up to 30 mpg in the city and 41 on the highway with the Mazda, compared to 30 in the city and 40 mpg on the highway in the 2015 Toyota Corolla. That’s greater power and efficiency when you drive home in a Mazda3. Unlike the 2015 Toyota Corolla, the 2015 Mazda3 is available in either a four-door sedan or hatchback body style, so you can enjoy the same smooth ride while customizing your interior. If you need plenty of cargo space, the hatchback is the right model for you. You’ll be able to fill up to 20.2 cubic feet without even folding down the seats, or up to 47.1 cubic feet with all seats folded. In stark contrast, the maximum cargo capacity of the 2015 Toyota Corolla comes in at 13 cubic feet. Remote Start: Have the vehicle purring before you’ve even stepped inside and be ready to go with this innovative feature. Leather Seats: Leather seats set the standard for vehicle luxury, but you won’t be able to sink into them in any Corolla model. Universal Garage Door Opener: Simply sync with your garage door, and the touch of a button will let you slip inside. Blind-Spot Monitoring: Uses advanced sensors to monitor your blind spot and provides a warning light in the appropriate side mirror. Rear Cross-Traffic Alert: Engages while you are backing up to provide an alert if any vehicles approach from the side. The 2015 Mazda3 is more powerful, more efficient, more versatile, and provides a superior standard of technology to the 2015 Toyota Corolla. To test drive yours today near Palm Coast and Port Orange, in the Are man she towards.